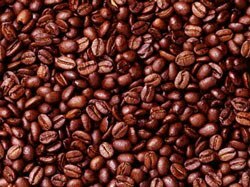 First Nerve: The Coffee Bean Meme: Olfactory Palate Cleanser? There is a basis in psychophysiology for expecting difficulties when sampling one perfume after another. A person might adapt or become temporarily less sensitive to certain notes. His nasal passages might become flooded with a cacophony of scent, making it difficult to tell one sample from another. On the other hand, there is no scientific explanation—none, zip, nada—why the hundreds of different volatile compounds in coffee aroma would help with either of these scenarios. In fact, the very concept of a palate cleanser is suspect. The one good study on the topic found that none of the usual palate cleansing methods (eating bread, rinsing with water, etc.) made any difference whatsoever in flavor perception. Each participant smelled three of the four perfumes from a dry down blotter in a jar, and rated them for pleasantness, intensity, and masculinity/femininity. Next came the palate cleanser: the subject sniffed a container full of coffee beans, lemon slices, or just plain air. Then the subject was given all four perfume samples—the original three plus a new one—and asked to pick out the new fragrance. College students do pretty well on this test: they correctly fingered the new perfume 57% of the time after sniffing plain air, 62% of the time after sniffing beans, and 86% of the time after lemon. The differences between “palate cleansing” treatments were not statistically significant. Smelling coffee beans did not results in higher mean accuracy of identification of novel fragrances. . . . Coffee beans and lemon seem to have no special refreshing properties. Fragrance sellers may wish to reconsider the practice of providing coffee beans to their customers. I am happy to agree with you concerning the 'palatte cleansing' effects of sniffing a jar of coffee beans. Coffee is one of the world's favorite aromas and has such depth of character and complication that is is literally like smelling yet another perfume. I think the best 'pallette cleanser' is a brain cleanser. Your mind becomes saturated. They should offer coffee table books to flip through between fragrances. I tend to reset my nose by smelling some unperfumed bit of myself or my clothing, and advise my students to do the same thing. Not sure where I picked up that bit of lore... or whether it does anything for the nasal passages. I suspect it's more of a mental thing: a moment's distraction from the smells that are studied, back to your own familiar funk or absence thereof... That little moment of un-focusing seems to refresh the ability to perceive. Maybe it's just hocus-pocus though. I've always wondered about the "inhale through a wool scarf" thing, too, as a way to clear the nasal palate; what do you think of that one? I'm more likely to exhale rapidly through the nose into the wool scarf, but the other day I did it too hard and, well, never mind. Interesting point, Cynthia, about coffee as its own complex fragrance; perhaps it is just so different in character from most perfumes that it makes a better distractor, as Carmencanada puts it, like sniffing self or clothing in between samplings. Sorry about the scarf. Hope you have a good dry cleaner. I'm actually an exhaler, too. It gives me the moment to consolidate my impression of the just-sniffed sample. Not sure I can justify it as more than force of personal habit, however. I can tell you for a fact that coffee does not clean odors. I have a sinusitis, that means my nostrils are most of the time very wet inside, therefore once I smell a fragrance, it is very hard to get rid of the scent. It gets "trapped" inside my nose. So, if I smell coffee, it is just one more aroma trapped inside. Than the coffee mixes with the other scents..and it does not clean anything. What really cleans it for me is either washing the nose, going for a walk and breathing "pure" air to reset...or sometimes, smelling wool - if I am wearing it. But basically I need to clean my nose! besides, coffee has such a strong aroma...a cappuccino darling? Funny. Well coffee and lemons and such smell good and are refreshing! But when my daughter and I do our personal perfume reviews we usually "palate cleanse" by walking a few feet away from what we're smelling and take some good deep breaths. It's amazing just how dusty my house smells when I do that! Which 'fumes were used in the test might make a difference. If they were all gourmands with a coffee component, you'd expect coffee to be a less useful way of 'resetting' the nose-brain perceptual mechanism than, say, lemon. And how small were the test groups, and how wide were the variations in each group for the difference between averages of 57% for air and 86% for lemon to be statistically insidnificant? Your remarks got me thinking: there are times when one wants to take a fresh sniff at a previous sample, and coffee beans or clear air etc. might provide an excuse to clear the mind if not the nose (remember, we still have no evidence it makes a difference to the smell). But aren't there times when one wants a direct comparison between two samples? When the point is to maximize the contrast by shifting immediately from A to B? In other words, sensory strategies are best geared to the question at hand; we shouldn't assume a single rule. Grosofsky's team used Designer Imposters Babe [not Tommy Girl], Confess [not Obsession], Prettiest [not Marc Jacobs Daisy] and Tempt Me [not Klein's Euphoric]. Total sample size was 63. Chi-squared test of cleanser odor on new odor identification was P less than .05 with a statistical power of .70. So . . . pretty solid non-effect. In cases where 57% is statistically insignificant from 83%...the test is meaningless and you need to sample more to make a valid judgment either way. This evaluation does not pass the "sniff test". I sniff a glass of water as a palate cleanser. I read about the technique in some article about sensory evaluation. The sniffing of water makes me hone in on the subtle smell of water in the glass somewhat, while moistening my nasal cavity. I believe I'm not halucinating the positive effects. But I have also had an experience of having an odour linger in my nose for 15 minutes because of, I believe, getting my nasal cavity too moist and sniffing on an undiluted perfumery substance too intensely. Agree with a few above 58% to 86% is almost a 30% increase. Thats like saying students that study and receive 86% on average in tests vs students who did not study and receive an average of 58% is not significant. So no reason to study.